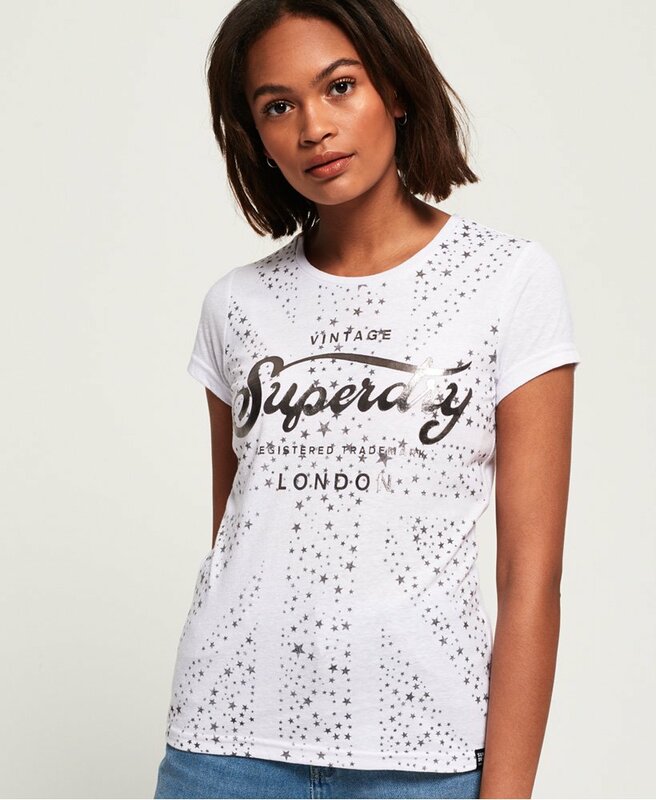 Superdry women’s Classic union jack t-shirt. A casual wear essential, this crew neck tee features an all over star design across the front and Superdry logo across the chest, with a metallic finish. Complete the outfit with jeans or joggers for the ideal weekend look.